Governmant says in its appeal that it is unable to finish legislation by looming deadline. The government has appealed to the High Court of Justice asking to extend the deadline to pass the haredi Draft Law for another seven months amid a deep impasse among the haredi parties regarding the wording of the bill. With the deadline looming, the government has been frantically trying to pass the Draft Law before the Knesset's summer session ends. However, the haredi factions have been unable to find common ground on the law's wording resulting from an internal power struggle. Deputy Defense Minister Rabbi Eli Ben Dahan (Jewish Home) hinted said last week that tensions within the haredi UTJ and Shas parties rendered passing the bill impossible. "It will be very difficult to prepare the law until the end of the session. If need be, we will ask the Supreme Court for an extension," Ben Dahan said in an interview on the haredi radio station Kol Barama. The Knesset approved the Draft Law in its first reading last Monday, with 63 MKs voting in favor of the legislation and 39 MKs voted against it. The bill was approved despite the haredi parties voting against it, due to the fact that Yair Lapid’s Yesh Atid party supported it from the opposition. 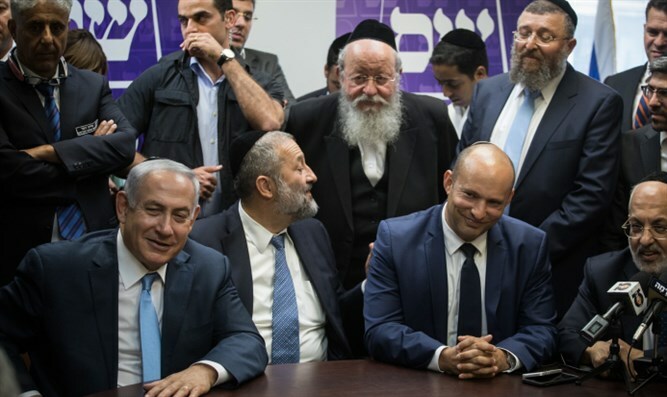 The haredim allowed the bill to pass its first reading, but have threatened to leave the coalition if it does not undergo significant changes before it is brought to a vote in its second and third readings.